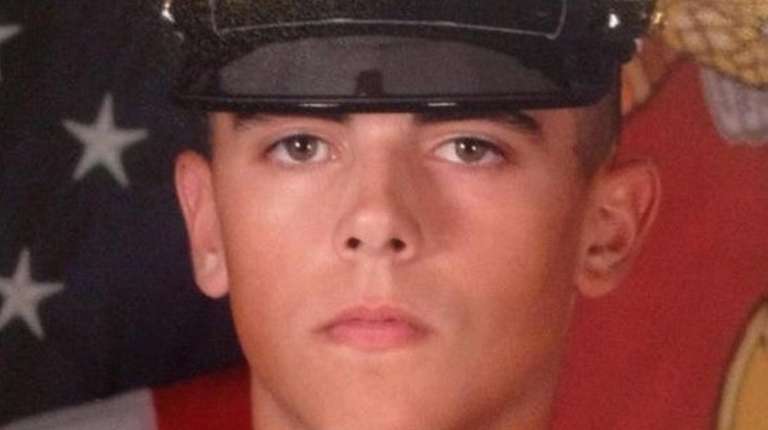 Family, friends, and well-wishers will gather at Calverton National Cemetery next Wednesday to bid farewell to Marine Sgt. Robert Hendriks, a Locust Valley Marine reservist who was killed in an April 8 attack outside of Kabul. Hendriks, who was posthumously promoted from the rank of corporal, will be buried with military honors, a Marine official said Wednesday. A motorcade bearing his remains from Dover Air Force Base in Delaware is expected to arrive on Long Island shortly after 1 p.m. Friday. Veterans organizations, including the Patriot Guard Riders, have said they intended to pay their respects by displaying flags and offering salutes as the motorcade makes its way to a funeral home in Glen Head. A memorial visitation for Hendricks will be 1-3 p.m. and 6-9 p.m. Tuesday at Whitting Funeral Home, 300 Glen Cove Ave., Glen Head. He and two other Marines — Staff Sgt. Christopher K.A. Slutman, 43, of Newark, Delaware; and Staff Sgt. Benjamin S. Hines, 31, of York, Pennsylvania — were killed when a bomb explosion struck their vehicle near Bagram Air Base 20 miles north of the capital of Kabul. The fatalities raised to seven the number of U.S. troops killed so far in 2019 in what, at more than 17 years of fighting, has become America’s longest war.